As the old adage goes, if a tree falls in the woods, does it make a sound if no one is there to hear it? If your disk storage is about to hit the threshold and you get no notification, will there still be a consequence? You bet. Here are three tips to manage your IBM i disk space so that nothing comes crashing down. IBM i is good at telling you when there are system issues—usually in the form of a message or history log (QHST) entry. When disk storage reaches the predefined upper warning limit, the operating system sends a message to QSYSOPR once an hour: CPF0907 “Storage Threshold Exceeded”. Have you ever seen this message? How did you respond? Did you simply change the limit or did this message prompt you to get busy determining what can be deleted? It can be difficult to identify what to purge, especially when it might potentially be temporary storage or QTEMP. True customer story: someone ran the DSPJRN command (not an unusual task for a person tasked with IBM i security) and then went home for the day. That command chewed up temporary storage, exceeding their system’s storage threshold. The customer missed the CPF0907 message and their very large system crashed and did an automatic IPL. Robot Console message monitoring and automation tool from HelpSystems would have caught the CPF0907 message, but Robot Space would have prevented the issue from occurring in the first place! 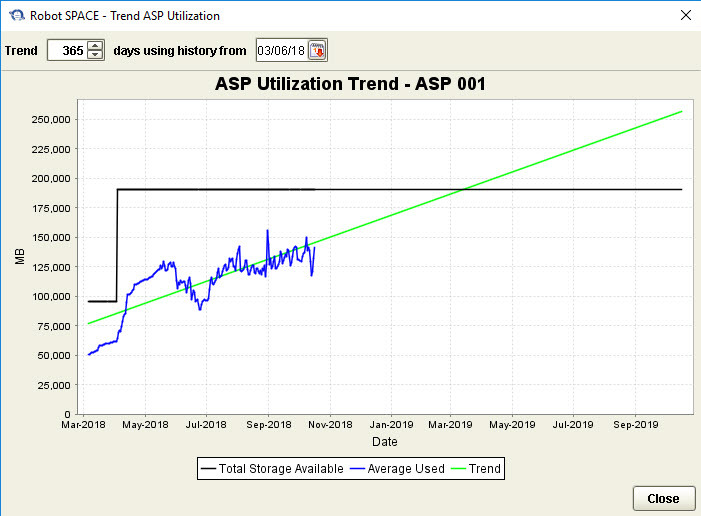 Robot Space storage monitoring for IBM i watches ASPs, IASPs, and job temporary and QTEMP storage (figure 1). By setting one of three storage thresholds, or a one-hour growth threshold, Robot Space will send out a notification long before your system reaches its OS-defined storage threshold. Robot Space can also put an offending job on hold automatically when job temporary or QTEMP storage gets too large. This give you time to investigate what’s happening before allowing it to complete or not (figure 2). 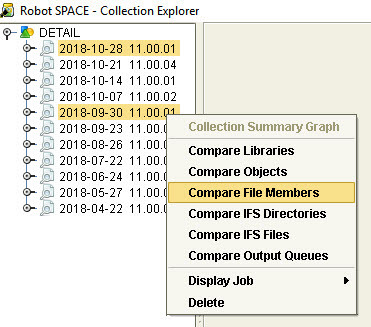 Robot Space collects library/object and directory/stream file (IFS) statistics such as size, last used, ownership, and growth information, allowing you to find those rogue disk hogs or old, moldy, unused objects. The built-in, spreadsheet-like explorer tool allows you to investigate the results, create ad hoc reports, or export (figure 3).This has been found to be especially helpful to our customers in exploring the IFS (figure 2). Robot Space also categorizes the use of disk space by library, object, member, output queue, IFS directory, and stream file, so viewing size history and trend information is easy. Collections can be as granular and specific as needed by gathering information on any combination of these object types or collecting data on the entire storage structure. When the collection runs, it can immediately send notification pointing out potential size or growth issues. You can also select any two historical collections to compare library, object, member, and stream file sizes to help you identify areas of growth over time and pinpoint potential issues. With Robot Space, it’s easy to collect and compare storage information for new or acquired companies identified by library or object name, IFS directory or stream file name. Simply create a collection classification then specify that classification in the collection group library and IFS filter (figure 4). 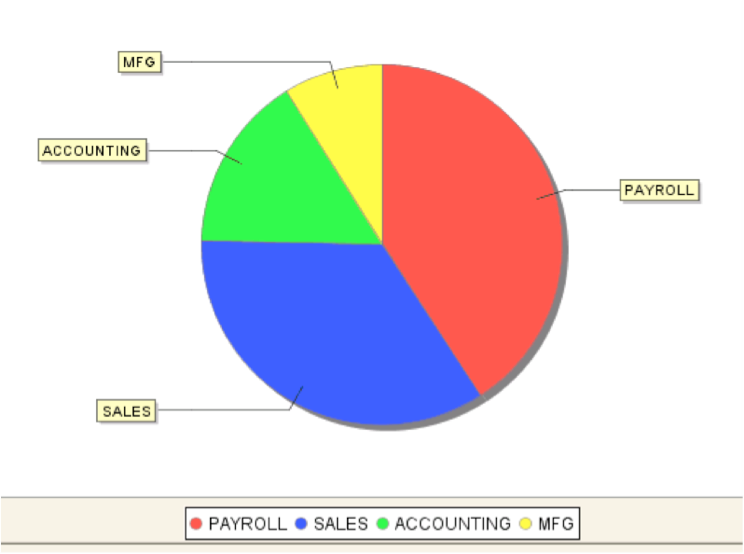 Also included is a Robot CPA accounting code field for doing DASD usage and system usage bill-back. 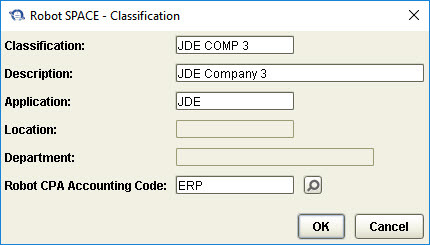 Attach these classifications directly to the library and directory filters in the collection group definition (figure 5). This allows a comparison of DASD usage and trending by classification in graphical form (figure 6). This classification can be applied down to the file/object/stream file level. Another way to compare collection information is by comparing historical collection information over a period of days, weeks, or months. For instance, you may be collecting detailed disk usage information weekly and you’d like to compare this week’s collection with one from the same week last month. The compare option will result in a side-by-side comparison of the data (figure 7). Automated disk cleanup is the key to storage housekeeping. Robot Space can delete old unused SAVF objects from saves and restores, unused journal receivers from high availability tools, old spooled file reports in output queues, and even old IFS files such as PDFs that are no longer needed. If you don’t want to add additional hardware to your already stretched budget, Robot Space helps you put good housekeeping into practice by selectively deleting old IFS objects, old report spooled files, and unused save files. It even reorganizes file data to reclaim disk space you already own. Don’t wait for a critical IBM i storage issue to emerge and catch you off-guard. Instead, proactively monitor your DASD growth at a granular level to pinpoint disk storage issues using Robot Space.